Roald Dahl is undoubtedly one the world’s finest storytellers and brings out the naughty child in all of us! Unbelievable to think that he was 70 when he started writing Matilda back in 1988 and 30 years later the story is still captivating the hearts of young and old all over the world! The current musical production running at the Teatro at Montecasino and soon to be seen at Cape Town’s Artscape Theatre embodies the ‘Roald Dahl Madness’ with aplomb. You will be very sad to miss it if you don’t rush off to buy tickets today for the entire family- Gogo included! It’s Loud, Fun, Magical and pure comic ‘Dahl’ indulgence at it best! The set is bold and oh so cleverley worked into the madness and mayhem on stage. If the fantasy elements of this production weren’t enough, the performances from adults and children alike will have you blown away! The talent from this stellar SA cast is sensational. 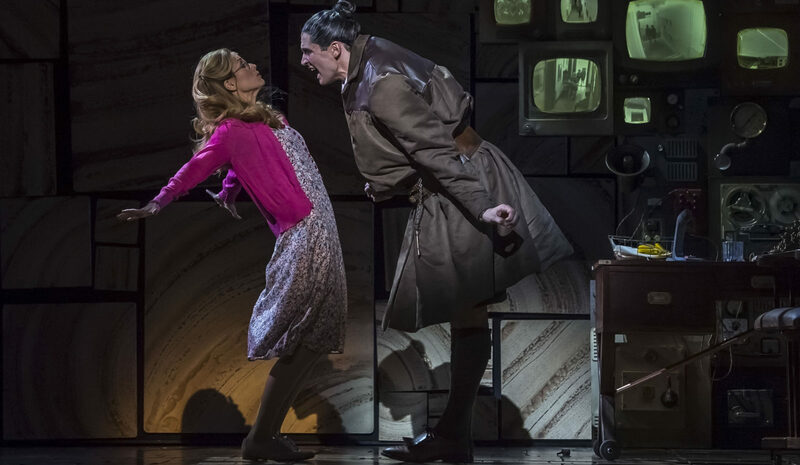 Stephen Jubber is fantastic as the common and slightly vile Mr Wormwood (Matilda’s dad) and is complimented superbly by Clare Taylor as the over- the- top, narcissistic, sequin encrusted, aspiring ballroom champion of a mother, Mrs Wormwood. Matilda’s academic allies Mrs Phelps (Mpume Mayiyane) and Miss Honey (Bethany Dickson) bring real heartfelt sincerity to these little champions of misbehaviour. 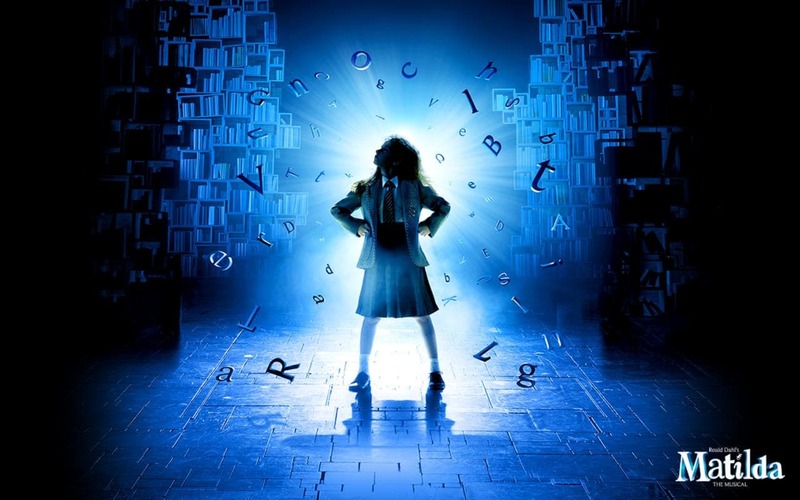 Ms Dickson’s beautiful lyrical vocals bring this loving character to emotional life and resonates strongly with Matilda and of course us, the empathising underdog audience. But the night undoubtedly belonged to the two biggest juxtapositions on stage. The malevolent and obnoxious brut of a headmistress (Mrs Trunchbull) was hysterical with all her evil wittedness and played masterfully by the wonderful Ryan De Villiers. And then our heroin of the evening was the adorably naughty and lovable Matilda herself betrayed by Kitty Harris. This petit newcomer displayed a fine depth of emotion and strong stage presence that not only had us mesmerized by her performance but completely won over us over as she led this mad, conquering, silly witted story to magical life! So don’t wait till you’re all grown up… be smart enough… and brave enough to step into a theatre near you to catch Matilda Madness today! If the fantasy elements of this production weren’t enough, the performances from adults and children alike will have you blown away! 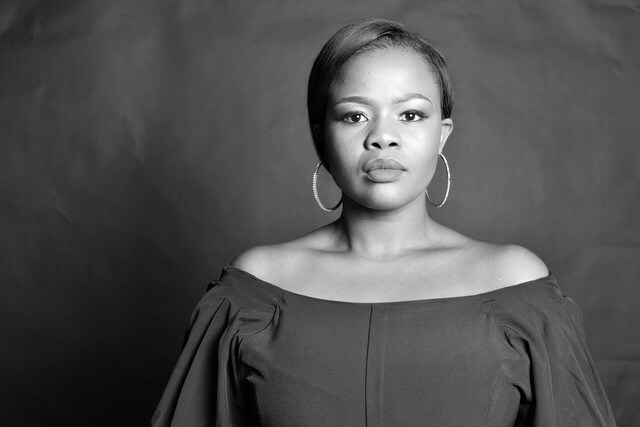 The talent from this stellar SA cast is sensational. Stephen Jubber is fantastic as the common and slightly vile Mr Wormwood (Matilda’s dad) and is complimented superbly by Clare Taylor as the over- the- top, narcissistic, sequin encrusted, aspiring ballroom champion of a mother, Mrs Wormwood. Matilda’s academic allies Mrs Phelps (Mpume Mayiyane) and Miss Honey (Bethany Dickson) bring real heartfelt sincerity to these little champions of misbehaviour. 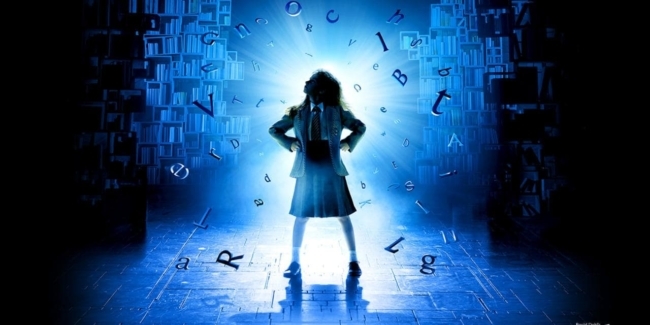 Ms Dickson’s beautiful lyrical vocals bring this loving character to emotional life and resonates strongly with Matilda and of course us, the empathising underdog audience. But the night undoubtedly belonged to the two biggest juxtapositions on stage. The malevolent and obnoxious brut of a headmistress (Mrs Trunchbull) was hysterical with all her evil wittedness and played masterfully by the wonderful Ryan De Villiers. And then our heroin of the evening was the adorably naughty and lovable Matilda herself betrayed by Kitty Harris. This petit newcomer displayed a fine depth of emotion and strong stage presence that not only had us mesmerized by her performance but completely won over us over as she led this mad, conquering, silly witted story to magical life! So don’t wait till you’re all grown up… be smart enough… and brave enough to step into a theatre near you to catch Matilda Madness today! 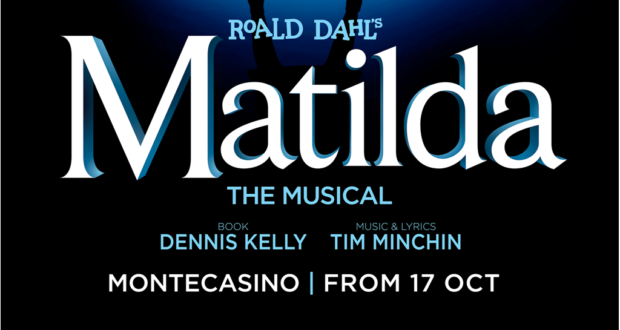 Matilda is on at the Teatro at Montecasino until 2 December and at the Artscape in Cape Town from the 11 December to the 13 January.” Artscape in Cape Town from the 11 December to the 13 January.